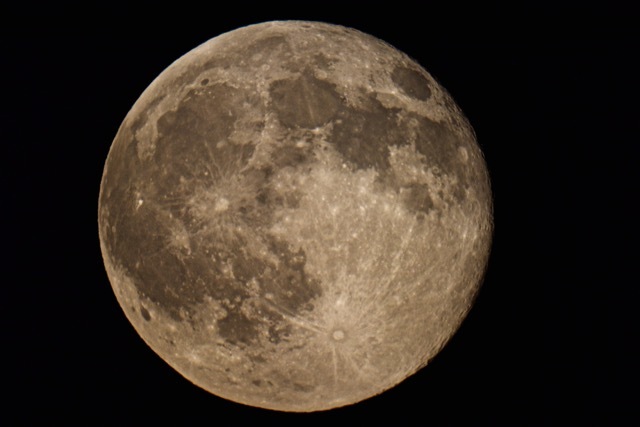 Be sure to get out tonight (Friday 7/31) to see the second Full Moon of July. Called a Blue Moon as explained in this article this happens about once every 2 1/2 years. For U.S. observers the International Space Station is starting a series of great passes. Go to Spot the Station to register your location so you can see ISS flyover. Quite the sight. Here's my FIRST telescope pic (movie) of ISS - look quickly!